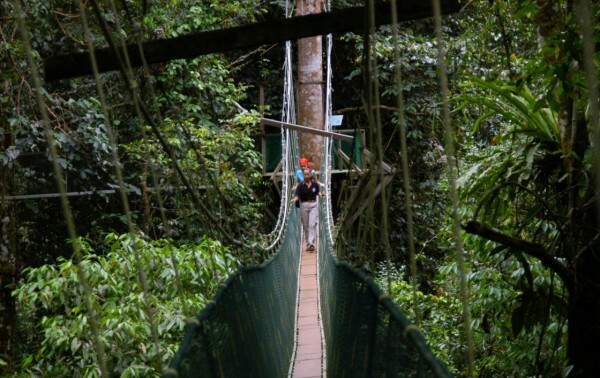 Come experience the wonders of Gunung Mulu National Park. Take a 20 minutes ride from Miri to Mulu and visit one of the best Unesco Heritage site in the world. 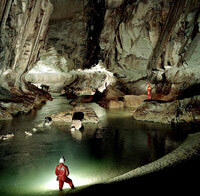 Visit all the famous Mulu caves there like the Deer Cave, Lang's Cave, Cave of the Wind and Clearwater Cave. Watch the over 5 million bats exodus from Mulu Cave in the evening in search of food and simply be awed by God's natural creation. * Dinner at Sungai Pala Restaurant is included. Day 3: We fly on morning MASwings flight departing from Mulu to Kota Kinabalu (once daily) or to Miri (flight available in morning departing at 1010hrs or afternoon departing at 1345hrs) or to Kuching (ETD: 1315hrs). All transfer in Mulu, airfare from Miri-Mulu (return) or Kota Kinabalu to Mulu (return) or Kuching-Mulu (return), entry permit and fees, accommodation at Benarat Lodge or Mulu Marriott Resort & Spa, meals: (2B, 3L, 2D), excursion to Show Caves of Mulu and Nature Guide.